The resources listed below discuss women’s experiences of targeted hostility based on specific characteristics and identities, and their responses to this through self-defence and collective action. These resources are intended to facilitate reflection and conversation, helping both individuals and organisations to work together to share their experiences, reflect on their practice and to empower challenges to social norms to show that hate crime will not be tolerated. 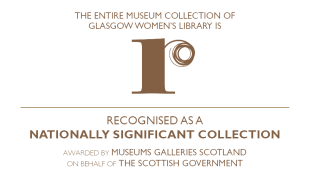 The list includes workshop materials, websites, books, films, recordings, images and articles, some of which are available for free or for purchase online and others which are available to loan from the shelves of Glasgow Women’s Library. In Her Shoes produced a Workshop Toolkit for our Experience Analysis Workshops, Empowerment Workshops, Collective Action Workshops, and Part of the Solution – Bystander Intervention Workshops. The Workshop Toolkit allows us to share our practice and unique approach to delivering prejudice reduction work with women and with organisations and institutions in Scotland. No-one Who Harms Me Will Go Unpunished. I Am A Woman our public artwork combining performance with art activism. A film of the live making of No-one Who Harms Me Will Go Unpunished. I Am A Woman with support from Action on Sectarianism. Antjoule, Nick (2013): The Hate Crime Report: Homophobia, biphobia, and transphobia in London, galop.org.uk. Levy, Brian L. and Denise L. Levy (2016): When love meets hate: The relationship between state policies on gay and lesbian rights and hate crime incidence Social Science Research. Hill Collins, Patricia (1990): Black Feminist Thought: Knowledge, Consciousness and the Politics of Empowerment, Unwin Hyman, Boston. Lyons, Kate (13th November 2015): How do I . . . respond when I see racial abuse in public? The Guardian. Resnick, Brian (8th April 2016): Watch: this is a scientifically proven method to reduce anti-transgender prejudice, vox.com. Woman Zone (14th August 2015): VoiceMap – Being a Woman in Cape Town, VoiceMap.me. Fenton, Siobhan (25th May 2016): British Muslim women face ‘double bind’ of gender and religious discrimination, report warns, The Independent. Rashid, Naaz (2016): Veiled Threats: Representing the Muslim woman in public policy discourses, Policy Press, Bristol. Tell Mama – Measuring Anti-Muslim Attacks. Thain-Gray, Rachel (ed. ), (2014): Mixing The Colours: Women Speaking About Sectarianism, Glasgow Women’s Library, Glasgow. Black, Sheila, Jennifer Bartlett, Michael Northen (eds), (2011): Beauty is a Verb: The New Poetry of Disability, Cinco Puntos Press, El Paso. Finger, Anne (2009): Call Me Ahab: A Short Story Collection, Bison Books, . Finn, Ailbhe (25th April 2016): The link between mental health and inequality, gender-based violence and gender stereotypes, European Young Feminists. Healy, Jane (20th March 2015): Why don’t we recognise Disability Hate Crime?, International Hate Studies. Morris, Jenny (ed. ), (1989): Able Lives: Women’s experience of paralysis, The Women’s Press, London. Morris, Jenny (1991): Pride Against Prejudice: Transforming Attitudes to Disability, The Women’s Press, London. Armstrong, Karen (1994): Freedom from Fear: A Complete Guide to Personal Safety for Women, Allen and Unwin, St Leonards. Caignon, Denise and Gail Groves (eds) (1987): Her Wits About Her: Self-Defence Success Stories by Women, The Women’s Press, London. Campbell, Beatrix (1993): Goliath: Britain’s Dangerous Places Methuen, London. Delacoste, Frédérique and Felice Newman (eds) (1981): Fight Back! Feminist Resistance to Male Violence, Cleis Press, Minneapolis. DC Comics (2010): The Wonder Woman Chronicles, DC Comics, New York. Dworkin, Andrea (1988): Letters from a War Zone: Writings 1976-1987, Secker and Warburg, London. French, Marilyn (1992): The War Against Women, Ballantine Books, New York. Henderson, Shirley and Alison Mackay (eds) (1990): Grit and Diamonds: Women in Scotland Making History 1980-1990, Stramullion Ltd/The Cauldron Collective, Edinburgh. Hudson, Kathleen (1977): Every Woman’s Guide to Self Defence, Collins, Glasgow. MacKinnon, Catherine A. 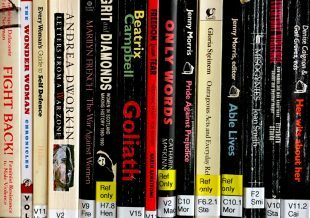 (1993): Only Words, Harper Collins, London. Smith, Joan (1989): Misogynies: Reflections on Myths and Malice, Faber and Faber, London. Stanko, Elizabeth (1990): Everyday Violence: How Women and Men Experience Sexual and Physical Danger, Pandora, London. Steinem, Gloria (1983): Outrageous Acts and Everyday Rebellions, Flamingo, London.